The Minnesota River Basin Progress Report provides an overview of the progress that is related to the state of the Minnesota River. 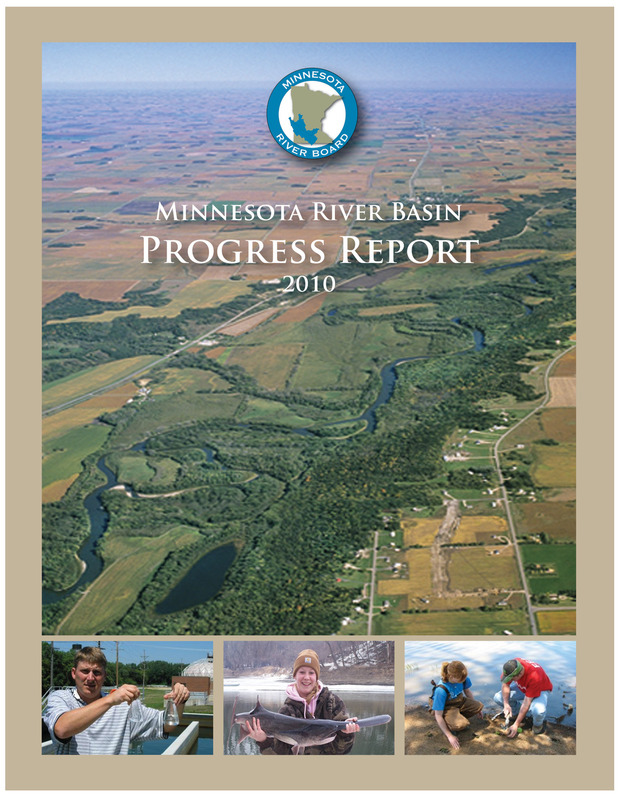 It is an easy-to-read overview of the progress in the Minnesota River Basin. Watershed and water quality management has changed dramatically in the Minnesota River basin over the past 20 years, but how do we measure progress associated with these efforts? One might add up the number of conservation practices installed or the amount of sediment reduced as a result of those practices. We may want to look at the diversity of fish found in the river or the growing interest in fishing. Maybe it is as simple as who comes out to pick up trash and haul away leaves to the compost site before it ends up in the river. Signs of progress are everywhere in the basin; from the significant reduction of phosphorus flowing out of wastewater treatment plants to the rising level of civic engagement, and the resurgence of people using the river for recreational purposes. Progress may be difficult to measure, but it is nonetheless evident. The Minnesota River Basin Progress Report is available as listed below.